Jewish organizations have a job to do in order to help stem the rise in hate-fueled violence; they need to stop fueling the hate themselves. Many Jewish leaders have conflated Antisemitism with Anti-Israeli attitudes and they see Muslims as their main enemy. These leaders and so many Jewish organizations then invite Islamophobic speakers, ostensibly to talk about the state of Jews in the world or, the survival of Jews in the world or, Antisemitism but the topic always boils down to Islam or Muslims or both, being at the root of the persecution of Jews today. Jewish institutions routinely invite people such as Geert Wilders, Pam Geller, Robert Spencer, David Horowitz, Daniel Pipes, Ayan Ali Hirsi and a whole host of other Islamophobic hate-mongers who are on the record as saying there is no such thing as a non-violent Muslim, that the Quran commands us Muslims to kill “The Unbeliever” and more such rot. The Anti-Defamation League takes every opportunity to make Muslims look bad. At the urging of the ADL, The Southern Poverty Law Center cancelled a speech against Islamophobia because the event included CAIR in it; CAIR so far, is the only effective Muslim civil rights organization in the US. Even the Jewish Federation is not above Islamophobia. I was present at a Bellevue presentation (Do Jews Really Hate Muslims?) 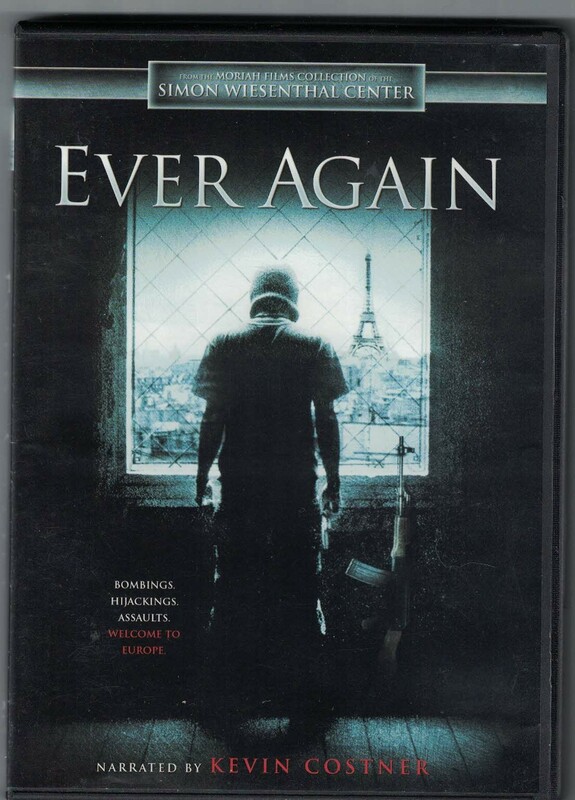 and fund-raiser where the head of JF Europe showed a “documentary” equating Muslims with Nazis and Islam with Nazism. The Holocaust Education Resource Center (WHERC) in Seattle (now called the Holocaust Center for Humanity ‘HCH’) invited a director of the Simon Wiesenthal Center “SWC” as their keynote fundraising speaker. 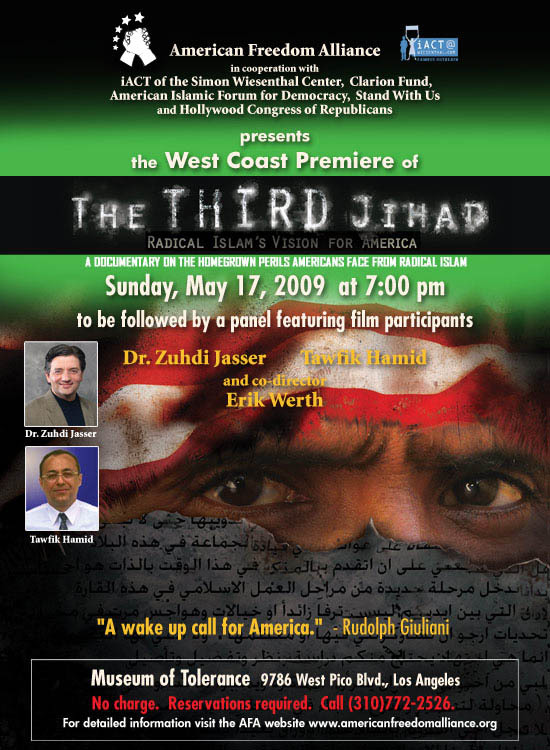 When we informed WHERC that this man was a director of an organization that appears to have dedicated itself to Islamophobia, going so far as to produce and distribute horrible but well-edited packs of lies against Islam and Muslims (“Ever Again” and “The Third Jihad”), We Muslims were vilified as “Antisemitic” while the personal goodness of the director was extolled . This list could grow indefinitely but I trust readers get the idea. If they want less Antisemitism, they must work against and condemn ALL forms of hate-mongering and fear-mongering, not just say good words while supporting anti-Muslim terror. We Muslims too, have a long way to go in order to stand up against Islamophobia. We must stop referring to anyone who does not belong to our special club as “Kuffar” (“Unbelievers”). Muslim groups have little concern for members of other sects who also classify themselves as Muslim, rejecting them as “Kuffar”. Of course, if fellow Muslims are Unbelievers then how can non-Muslims be spared the label? As long as Muslims remain divided and as long as they (we) cannot unite and collaborate against issues of common concern, our enemies will pick us off one group at a time. As we reject and cast out other Muslims, the message to our Impressionable youth is that we must reject and hate everyone who is not of our special sect and thus begins the cycle of violence; us against each other and others against us. 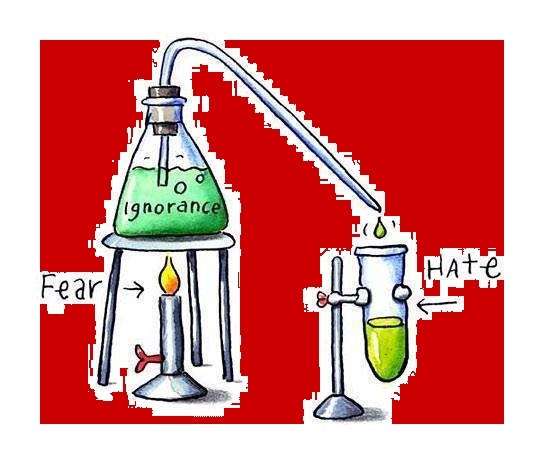 Hate and Fear must be actively rejected and condemned, no matter if it is being promoted within a society or outside of it. We must keep in mind that once the dogs of Hate and Fear are unleashed, the intended victims will not be the only ones getting slashed.